Eiyu is the Performance Director at the　BITS Performance Studio in Tokyo, Japan; specializing in rehabilitation, functional training and diet, Eiyu is also president and owns ENZ Inc. His integrative and individualized programs have helped athletes and individuals improve performance, prevent injuries, rehabilitation and improve health and vitality. He had worked for many professional organizations; Pittsburgh Steelers, the US Soccer team, YAMAHA Rugby team, JEF United, Kawasaki Frontale and Jubilo Iwata. Eiyu received his Bachelors Degree in Physical Education from Nippon Sport Science University in Tokyo, Japan. He went on to earn a Masters of Science in Education emphasis on Athletic Training from the Old Dominion University. He is also a Certified Athletic Trainer with the NATA and JASA and Advances Accredited Training Instructor with the JATI. Eiyu is a consultant for many top professional athletes from the JGTO Tour, JLPGA Tour, J-League, NPB to top Japanese Olympians. 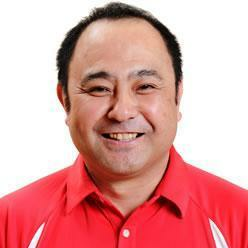 He is also a Part-time Lecturer of Kokushikan University. Eiyu has translated 5 books specializing in stretching, core training, SAQ training, and conditioning in athletes.